Beat for 2 minutes until well combined. Spoon the dough onto a long piece of plastic wrap and cover. 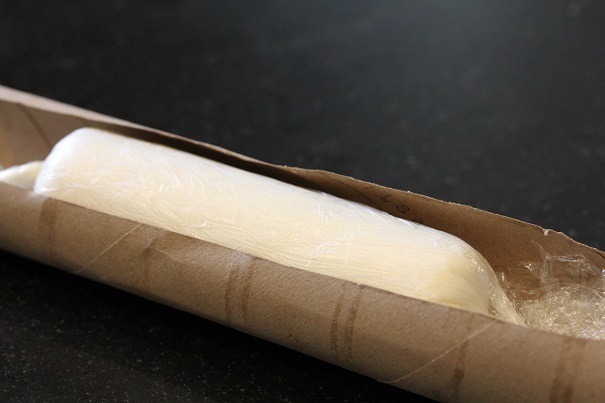 Roll dough into a tube of about 2 inches in diameter. (It should be about the same diameter as the cardboard tube from an empty paper towel roll. Chill for an hour. With a sharp knife, slice off rounds of the peppermint candy, each ¼ inch thick. 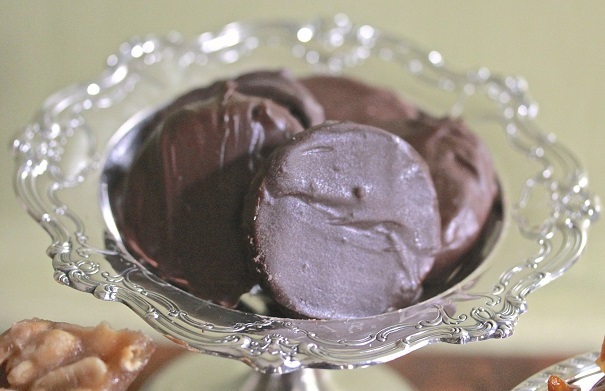 Melt the chocolate wafers in the microwave for 2 minutes, stirring after every 30 seconds to prevent overheating. 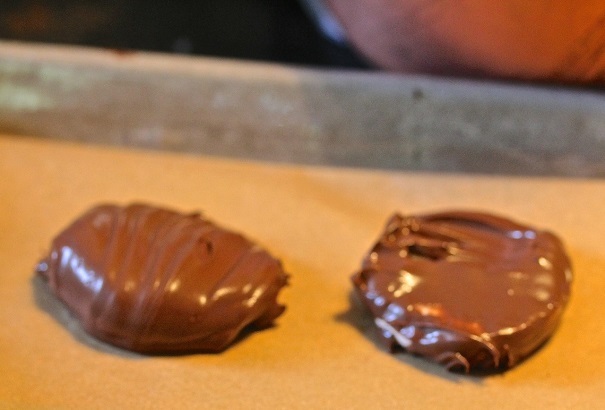 With a fork, lower the peppermint round into the chocolate, flip, cover in chocolate on both sides and remove to a wire rack with some wax paper under it, to allow chocolate to set. Fill bottom pan with several inches of water and bring to a boil. 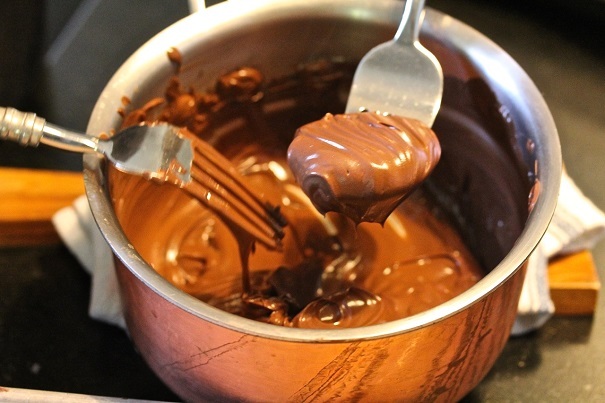 Turn heat off and put the chocolate into the top part of the double boiler.